Hypertufa Chairs? How on earth...? I salvaged these two wicker chairs from the recycle center, back when we had one. I didn't have a porch at that time, so nowhere to put them, so they've languished in the greenhouse for the past few years. Now it's time to get this going! And, I have a porch to put them on. The wicker is coming apart in places, making them too fragile to actually use, as is. 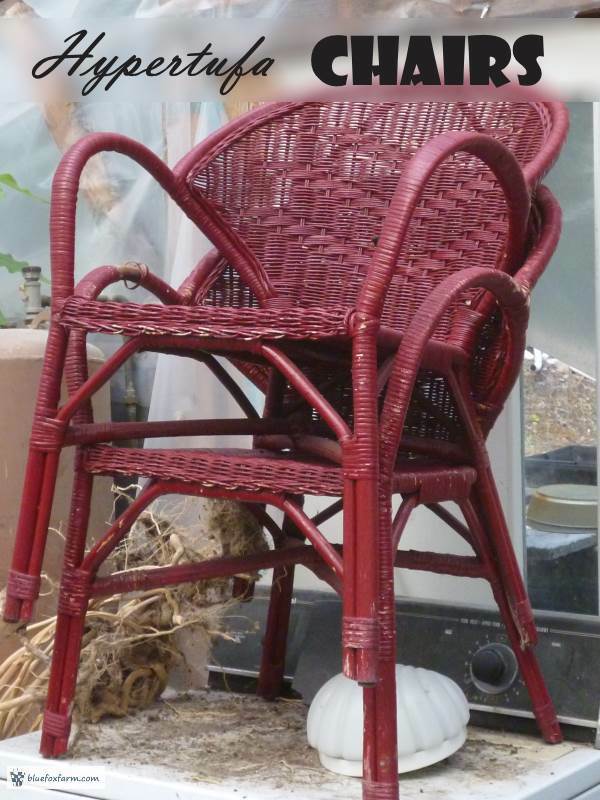 This is the perfect way to protect the wicker and take these chairs to a new level. The mix for this kind of project needs to be a bit smoother, so I won't be putting the perlite in it. I also think it might be best to use soil cement, using my native sub soil which is very silty and ends up to make a great stable (non-cracking) surface. More to follow, but this is the eventual look I'm after. What do you think?